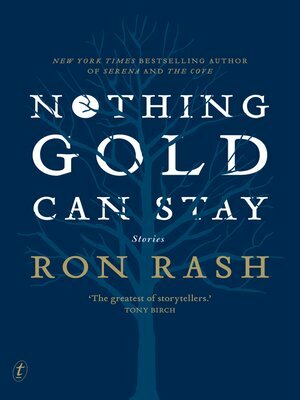 New York Times bestselling author Ron Rash returns again to Appalachia to capture lives haunted by violence and tenderness, hope and fear in unforgettable stories that span the Civil War to the present day. In the title story, two drug addicted friends return to the farm where they worked as boys to steal their boss's unusual but valuable war trophies. In 'The Trusty', Ron Rash's first story to appear in the New Yorker, a prisoner sent to fetch water for the chain gang tries to sweet talk a farmer's young wife into helping him escape, only to find she is as trapped as he is. In 'Something Rich and Strange', a diver is called upon to pull a drowned girl's body free from under a falls, but finds her eerily at peace below the surface. The violence of Rash's characters and their raw settings are matched only by their unexpected tenderness and stark beauty, a masterful combination that has earned Rash an avalanche of praise. Ron Rash is a multi-award-winning poet, short story writer and novelist. A PEN/Faulkner finalist for Serena, he is also a recipient of the O.Henry Prize and winner of the 2011 Frank O'Connor Award for Burning Bright, a collection of short stories. His other work includes the novels, One Foot in Eden and The Cove. He teaches at Western Carolina University and lives in the Appalachian Mountains, South Carolina.